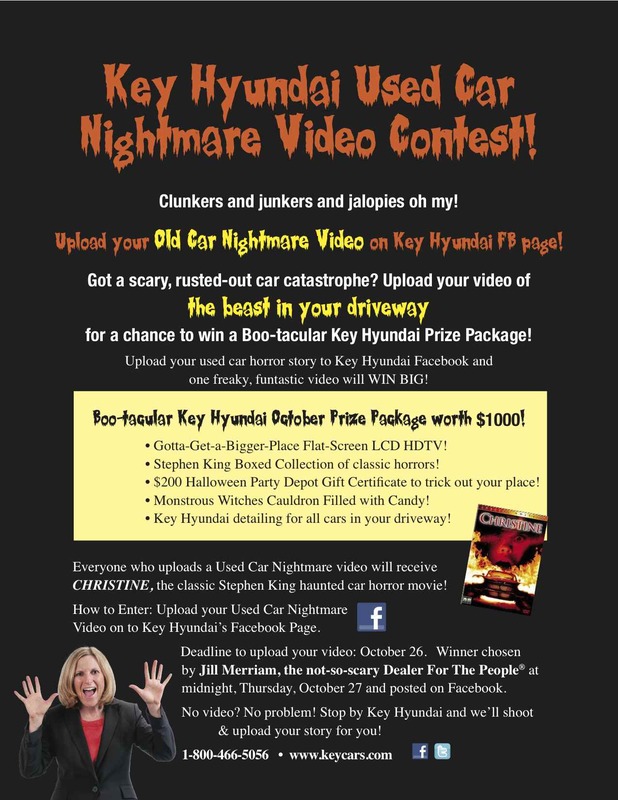 Key Hyundai Used Car Nightmare video contest! Our October radio campaign is in full swing putting everybody in the Halloween spirit, so we’re making it a party at Key Hyundai of Milford and Key Hyundai of Manchester too! Upload your used car horror video onto Facebook, and you could win the Key Hyundai October Prize Package! A $1000 value! A $1000 worth of goodies including candy, horror flicks from Stephen King’s demented mind, a flat screen HDTV to watch them on, cauldrons of candy for munchies, and Key Hyundai detailing to keep the cars in your driveway from becoming a horror show themselves! It’s a fact: upload your Used Car Horror Story Video onto Key Hyundai’s Facebook page and one freaky, fun-tastic video will be chosen by me, the not-so-scary Dealer For The People on October 27th, at when else? Midnight! Winner will be posted on Facebook! Stop by Key Hyundai of Manchester (where yes, we are open for business!) or Key Hyundai of Milford and we’ll shoot your story and upload it for you! No problemo! 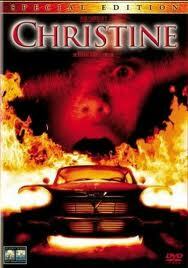 Everyone who uploads a video gets a FREE DVD of the classic car horror flick, CHRISTINE... just for posting your video on our Key Hyundai FB page! Yours FREE for uploading your video to Key Hyundai Facebook! Happy Halloween and get crackin’! Upload your Used Car Horror Video by October 26 for a chance to win!